Apparitions of the Blessed Virgin Mary keep turning up all over the world. She appears in Yugoslavia, New York, France, Mexico... She even appears as an image in rust on the side of a grain elevator in the Midwestern United States! But what do all these apparitions mean? For Catholics, appearances of the Blessed Virgin "officially approved" by the church are just that.... literal appearances of the Blessed Virgin Mary to the faithful. Numerous other apparitions draw throngs of worshippers and curiosity seekers, but those apparitions are never officially approved by the Papal See. However, it is the heretical apparitions of the Blessed Virgin - and even some of the officially approved apparitions - that are of special interest to Pagans. The Divine Being who appears, is witnessed by people whose minds were trained to think only in terms of Christianity and Catholicism. However, it is more than possible that many of these apparitions are actually The Ancient Earth Goddess continuing to appear to Her people in terms they can come closest to comprehending today. 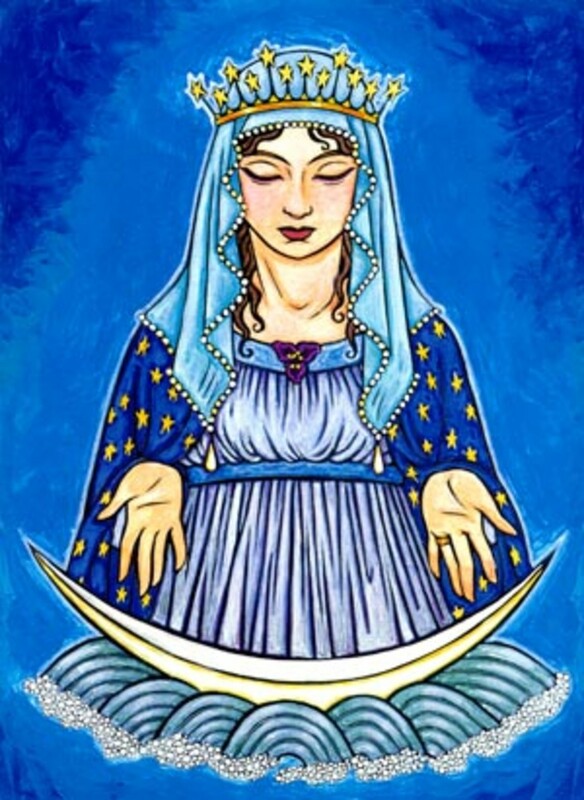 The Virgin shares many attributes with The Goddess: The blue of the sky and sea, also represents The Great Above and The Great Below, and is sacred to both of Them. Both are Queens over Heaven and Hell (or of The Underworld). 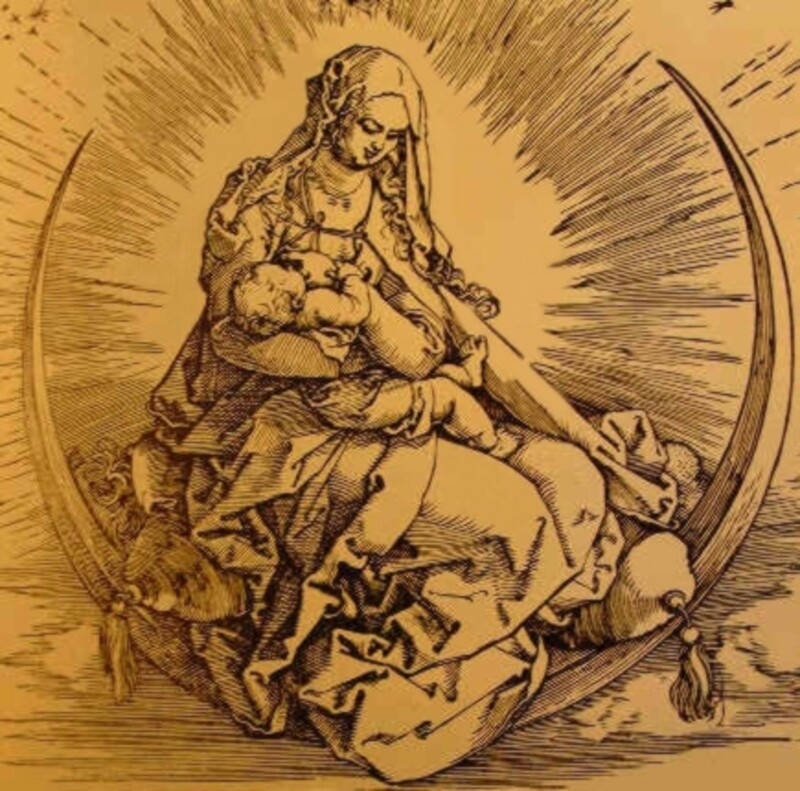 There are even some representations of Mary where She wears a mantle of stars (as does The Goddess), and somewhere She is either sitting or standing upon the crescent Moon (one of the best known symbols of The Goddess). The Goddess is crowned and enthroned as the Ruler of everything, because She Creates Everything. The Blessed Virgin Mary also is depicted crowned and enthroned (signifying Her Rule over Heaven), as well as being depicted trampling Satan, or a dragon, underfoot (signifying Her Power over Hell). 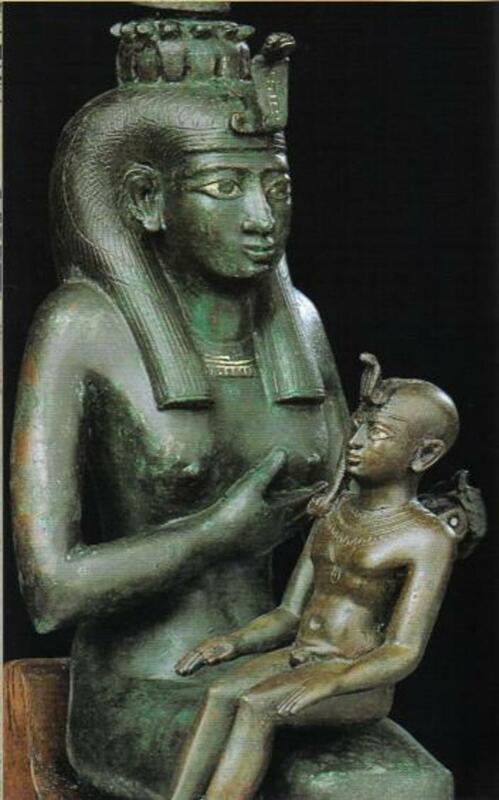 When Enthroned, both The Goddess and the Virgin are often depicted as The Throne Of Wisdom... Isis holding Horus on Her Lap, The Virgin holding Jesus on Her Lap... 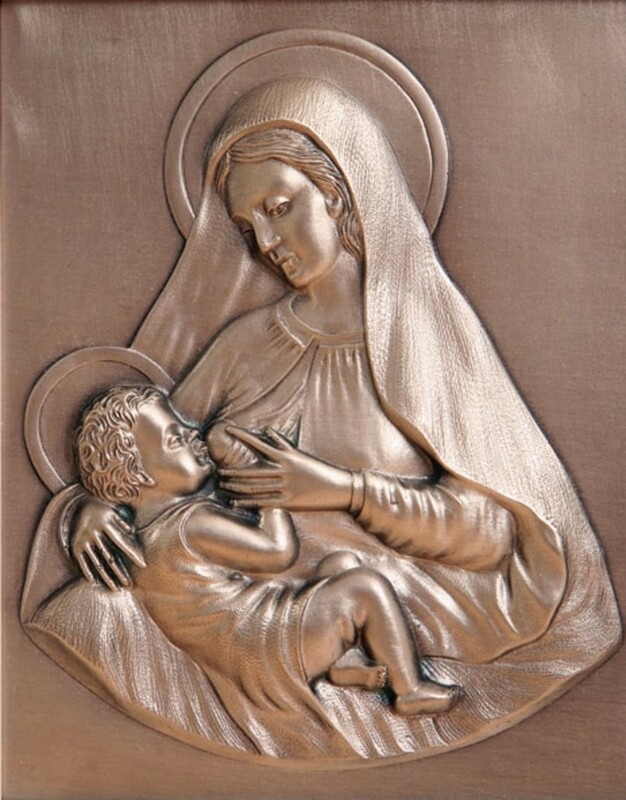 It is from The Goddess that The Infant Son/Sun God, draws His Life and Nourishment, and there are many artistic representations of both The Goddess and Mary nursing Their Son/Sun. 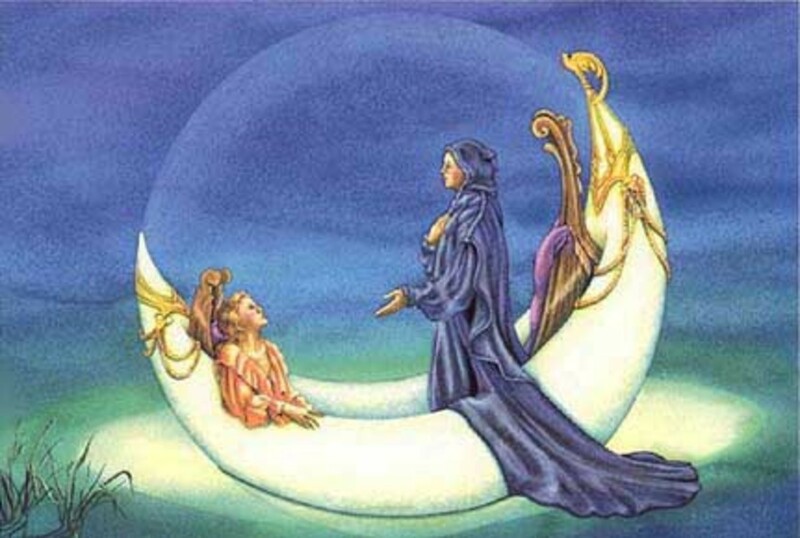 As stated before, both The Goddess and Mary are associated with the Moon, which waxes and wanes.... and thus, They are Both associated with Time, Eternity, and the Cycles of the seasons. 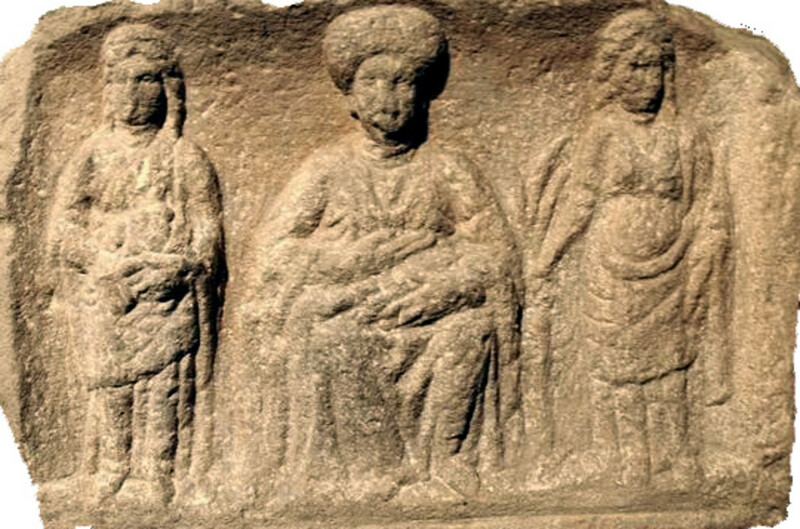 The Goddess is often worshiped in a Triple Form: The Maiden (Virgin), The Mother, and The Crone. 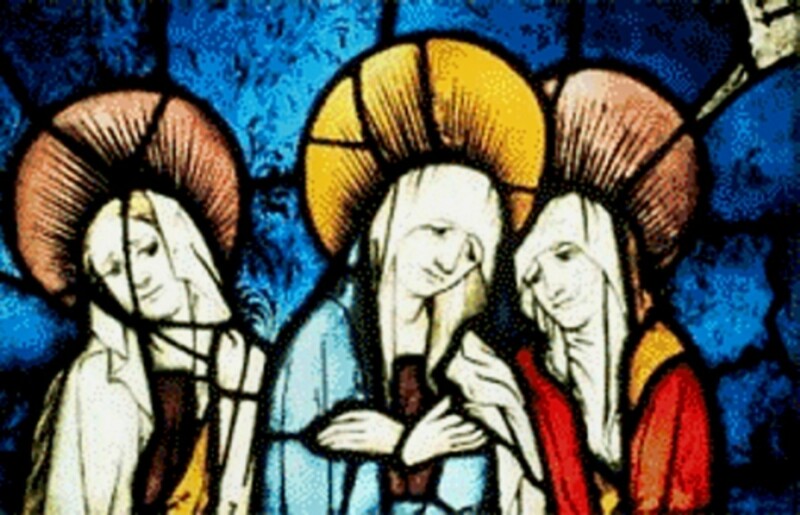 Just so, Mary is also worshiped in Triple Form: the Maiden or Eternal Virgin - The Mother of God - The Crone who mourns Jesus and claims His Body in death. 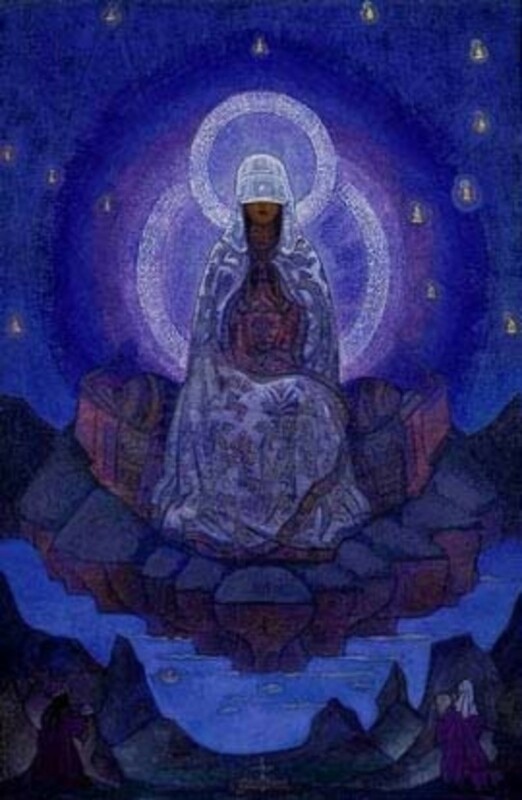 The major difference between The Goddess and the Blessed Virgin Mary is that The Goddess is a Creatrix in Her Own Right and a source of Divine Power. In Catholicism, Mary is Blessed, unique among women, sinless, The Mother of God - and it is believed that She ascended bodily into Heaven. However, for Catholics, She is supposed to be merely a channel of Power from God, and not a source of Divine Power, Herself. Of course, this is only the official view of the Catholic Church. Many worshipers understand, and have always understood instinctively, if not consciously, that the Blessed Virgin is a modern version of The Goddess; and many Catholic cathedrals are actually built upon the sites of ancient temples to The Great Goddess. For example, St. Peters Cathedral in the Vatican is built right on top of the old temple of The Goddess, Magna Mater, and some parts of the original temple are presumably still left under the foundations. 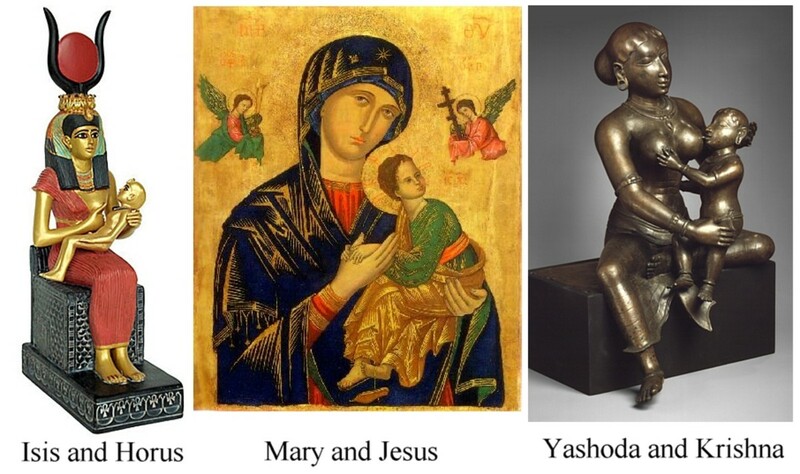 Another factor in all this, is that Mary also appears to be more 'accessible' to worshippers, and indeed more sympathetic to their needs than the distant and wrathful Sky God - Jehovah. She is everything that a "Good Mother" needs to be. This, then, could be why they light candles and pray to Her to intercede for them and their loved ones in Heaven, where She rules with a gentle, but firm hand, and tempers God's Judgment with Mercy. Miracles are often attributed to statues and images and apparitions of the Virgin, who intercedes on behalf of women, children, the poor, the sick, the outcast and others on the fringes of society. 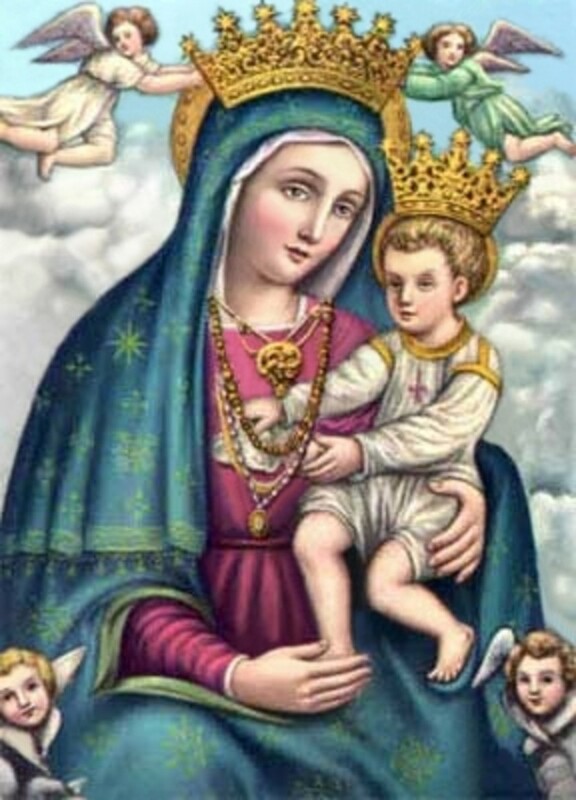 Voudoun, Macumba, Yoruban and Candomble religions - which identify ancient African and Native South American Gods with images of Catholic Saints - explicitly recognize Mary's identity with The Goddess. For them, She is Erzulie or Oshun, The Great Goddess of Love, Beauty and Water. Also, in the European Middle Ages, Mary became transformed into a Goddess of Love and Beauty, Matroness of the cult of courtly love. 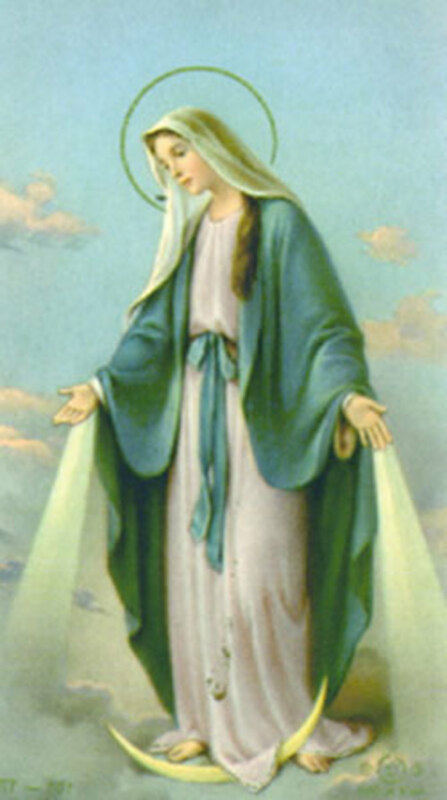 One particularly famous apparition of the Blessed Virgin is "officially" accepted by the Catholic Church, yet illustrates the idea that apparitions of Mary may actually be the Goddess in disguise. 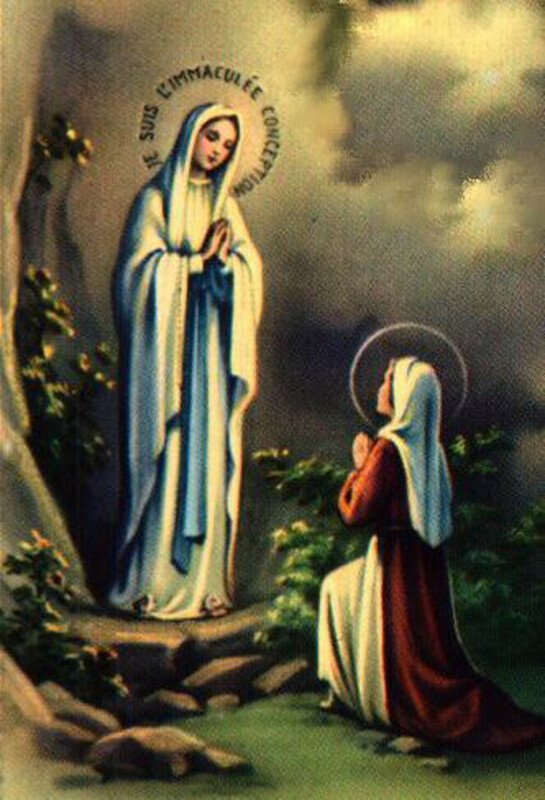 This event occurred on Thursday, February 11th, 1858, when a vision of a "pretty lady" appeared to Bernadette Soubirous, near a grotto outside Lourdes, France. Bernadette described the apparition as being very young, almost a girl like Bernadette herself, with golden roses lying on her feet. At first Church authorities dismissed Bernedettes story, even implying that she was crazy. Bernadette's family was extremely poor, barely existing on the outskirts of society, and not especially pious. Nor was Bernadette the pious exception in her family. She attended church school like all the other children in the village, but exasperated her teachers because she was so slow with her lessons, and particularly because she had never been able to memorize her catechism. Gradually, however, the poor people of the village came to believe in Bernadette's visions, especially after healings began to occur when people bathed in or drank from the spring that emerged from the grotto near where the Lady appeared. Finally, church authorities were unable to deny the miracles associated with Bernadette's vision. They insisted that she become a nun and live out the rest of her life as a virgin, cloistered away by the Church, although what she really wanted was to continue living like any of the other village girls, to marry and raise a family. 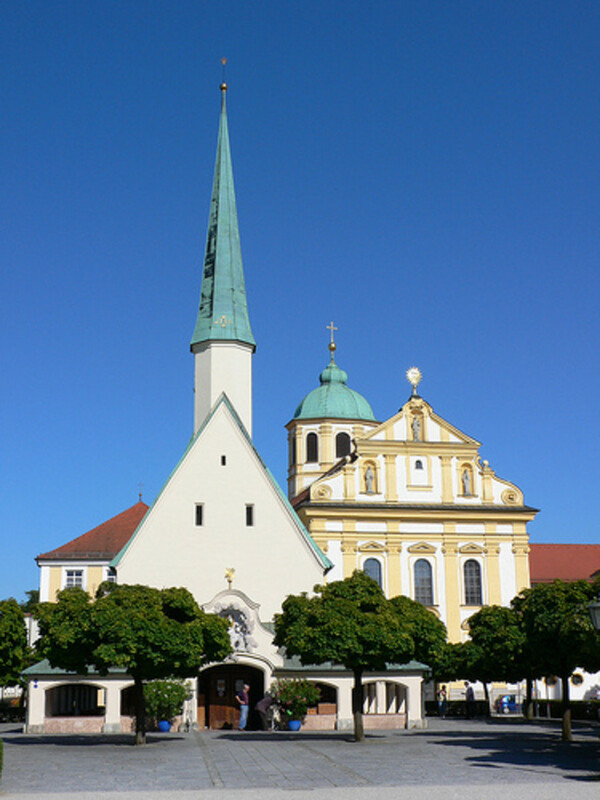 Also, the Church (which hadn't seemed particularly concerned about the miserable existence of Bernadette's family prior to her visions), moved her and her family to more comfortable living quarters, as befitted the relatives of a future Saint. Today of course, Bernadette is a recognized Saint, and pilgrims from all over the world flock to the grotto at Lourdes to pray for healing. In fact over 200 million pilgrims have visited Lourdes so far. 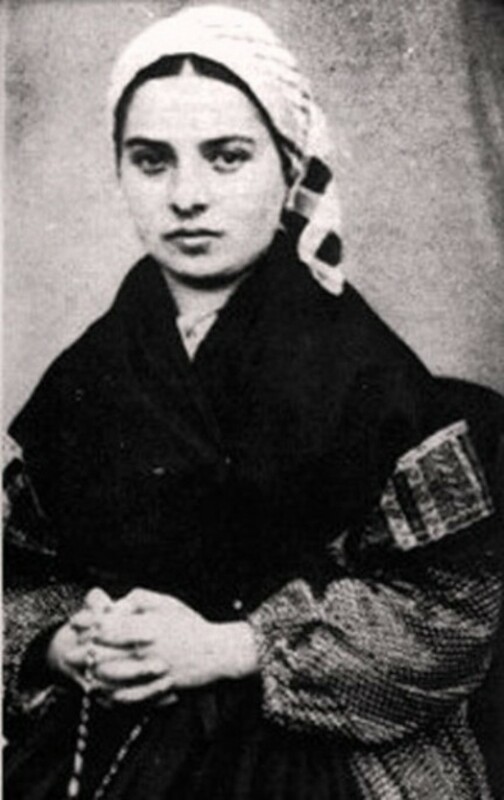 In folklore, it is said that Saint Bernadette is believed to have the power to even raise the dead by simply uttering the simple words: "O Marie, concue sans peche", which means "O Mary, conceived without sin". 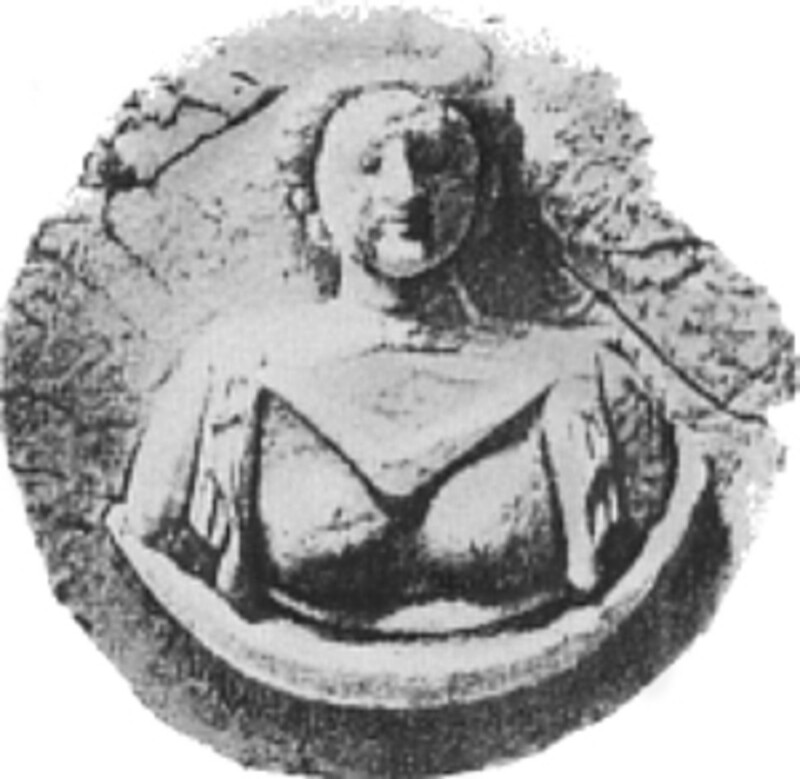 First, and most obviously to Pagans, is the fact that the Lady appeared, associated with a grotto - which identifies Her with The Ancient Goddess Of The Earth. The cave is symbolic of the womb / yoni / chalice / grail / cauldron, and archaeologists have located the most ancient of pre-historic sites in caves. Caves also symbolize the entrance to The Underworld, (as caves lead us down and into the earth), and so are associated with The Goddess as The Giver and Taker of Life. 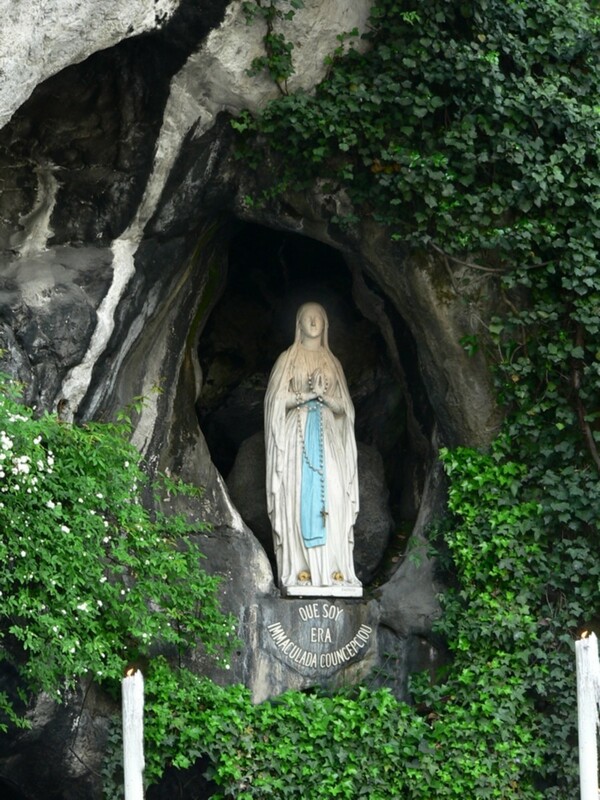 So it would only be fitting that The Goddess/Mary would chose such a place as the grotto at Lourdes to reveal Herself. And if you just look at the shape of the grotto entrance at Lourdes (see picture above), you can clearly see the yoni shape of the grotto-cave. 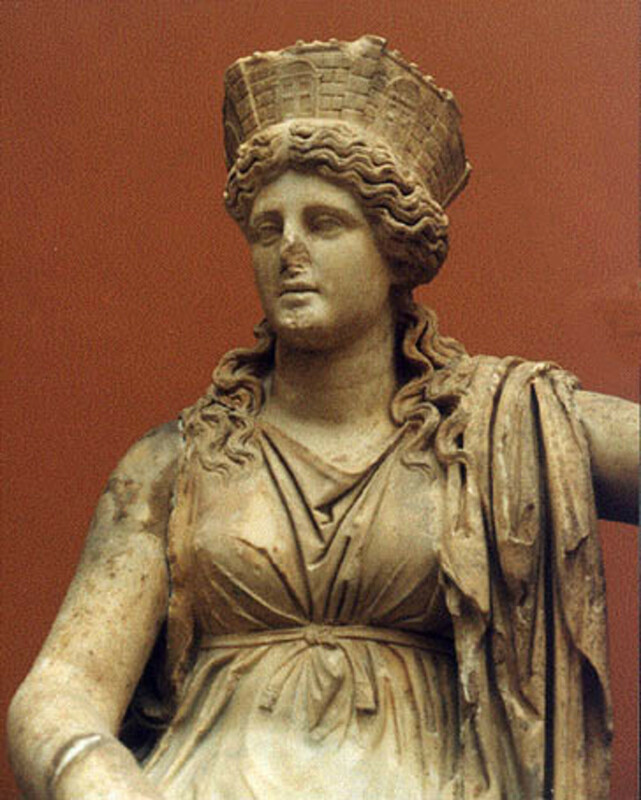 Sacred wells and springs were also associated with The Goddess in Europe long before the arrival of Christianity, as water was considered to be the primordial element of The Goddess. In ancient Celtic Tradition, wells and springs were watery passages into The Otherworld/Underworld, many of which were said to have healing properties. 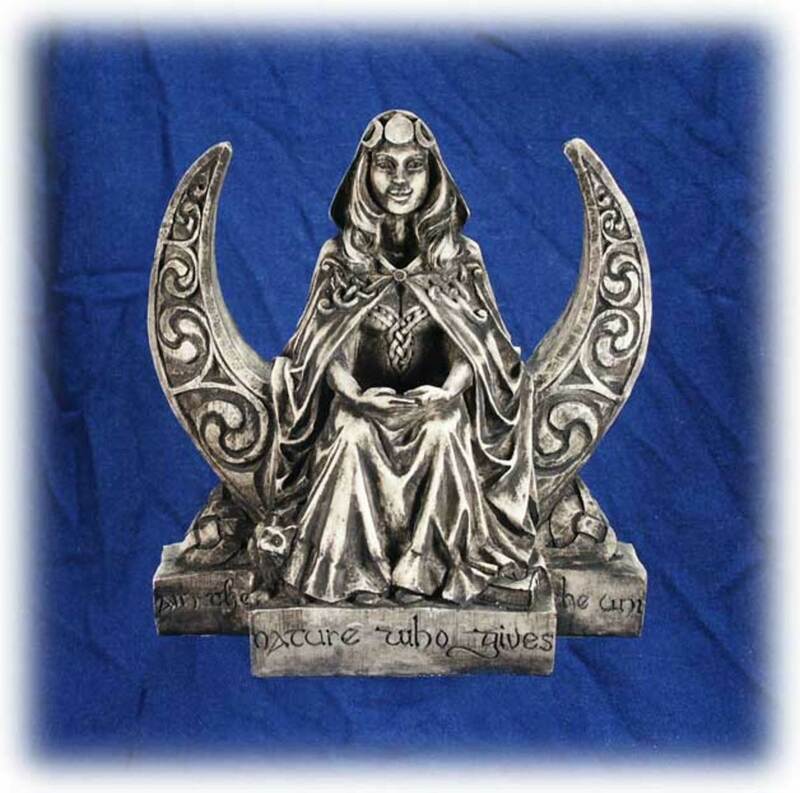 Although Celtic mythology is most strongly associated with the British Isles, Lourdes is located in an area of France with a Celtic heritage, as it borders on a part of France that was once known as Brittany. Celtic mythology, of course, is replete with stories of underwater cities, or cities reached by entering through a well of cave. These cities were often ruled by a Great Lady, The Goddess, or Faery Queen. There was even a local legend extant in Bernadette's time of an underwater city that existed in the lake near Lourdes. It had originally existed on dry land, but had been flooded when all the springs in the area overflowed, and almost all its inhabitants drowned. In part of the story that seems to have been influenced by biblical tales of Sodom and Gomorrah, one family escaped the flooding by fleeing without looking behind them. But as you can probably guess, it was the mother who turned around for one last look and was turned to stone where she stood. And to this day there are ancient standing stones in the area of Lourdes. Now children in Bernadette's day were cautioned not to throw stones into the lake, for fear that they would anger the inhabitants of the underwater city, who would then cause fearful storms and attempt to flood and drown the inhabitants of the area, as they, themselves, had been destroyed ages ago. This story betrays traces of ancient reverence and fear of the ancestors, who resided in a city of the dead beneath the waters, and needed to be placated. Reverence for the dead was an element of the Faith for most of the ancient Celts, who kept the skulls of ancestors in their homes in order to commune with and learn from them. Also interesting, was the fact that Bernadette's messages from the Lady to the priests were quite curt, and could even be thought of as demanding. The Lady showed no respect for the Catholic Church and its hierarchy, although She showed love and respect to Bernadette, and to the poor, the sick and the suffering through Her apparitions and miracles. "Go, tell the priests to come here in procession and to build a chapel here." was the command that the Lady gave to Bernadette on March 2nd 1858. 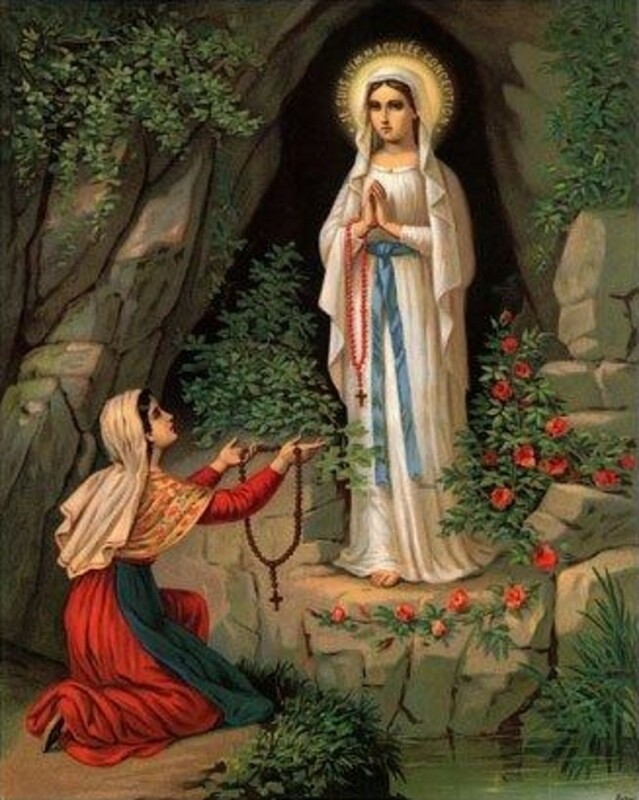 Through a simple child, the Lady commanded the Church to honor and worship Her at Her ancient Grotto and Spring. As mentioned before, church authorities at first dismissed Bernadette's visions as those of madness. However, these accusations did not dissuade the common people from believing in her, largely because of ancient folk traditions that insane people are those "touched by God". Actually, the fact that Bernadette was a sickly, and most likely malnourished because of her family's extreme poverty, could mean that the visions were possibly induced through illness and hunger. After all, in Shamanistic Traditions from all over the world, young people who are to become shamans and see true visions to aid their communities often are tempered by severe, life-threatening illness, near death experiences, madness, fasting or starving, before arising renewed and endowed with spiritual strength and power. One especially revealing fact for Pagans is that Bernadette never once claimed that the "pretty lady" was the Blessed Virgin Mary! 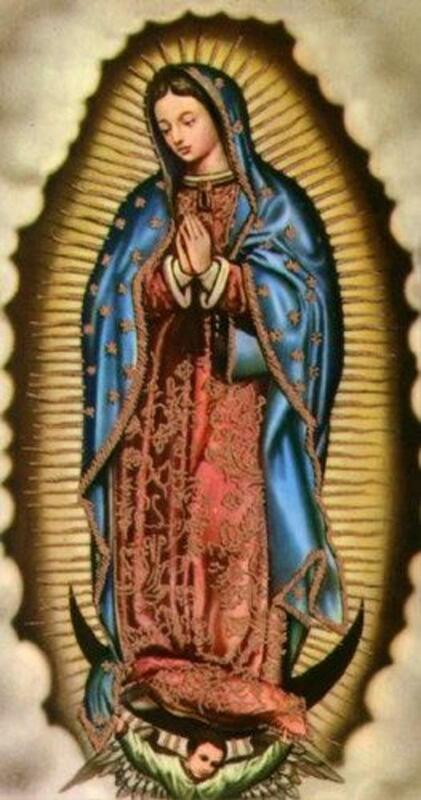 When pressed by church officials to ask the Lady to identify Herself, the closest She ever came was to say that She was "Que Soy Era Immaculada Concepciou" ("I Am The Immaculate Conception"). The question of the immaculate conception was hotly debated by church authorities in Bernadette's day, and was not accepted as "official church doctrine" until 1854 - just four years before the Lady's appearance at Lourdes. According to the doctrine, Mary was conceived without sin and remained sinless (so Mary's own birth was immaculate - as Jesus' was), even though she was a human. Look deeper at how the Lady's reply to Bernadette was worded though... She did not claim that She was the Immaculate Conception. She claimed that She IS The Immaculate Conception. Could She possibly have meant that She was The Creatrix - Who formed the World out of Herself, and that the World is perfect, just as She, Herself, is Perfect? There is of course no final answer to this question. 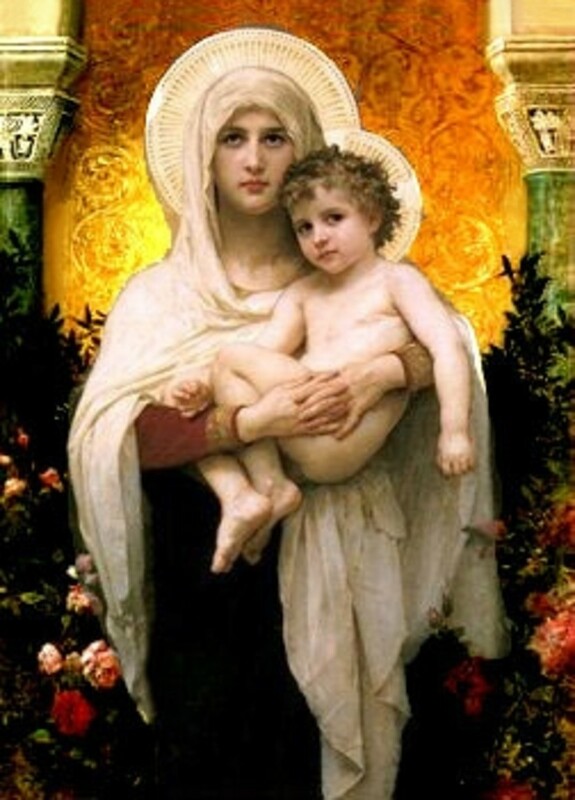 However many Pagans may want to at least consider that the Blessed Virgin Mary may be a true aspect of The Goddess, doing Her best to communicate love, beauty, healing, mercy and compassion to Her people in spite of their acculturation by Christianity. I know that in my home I have a statue of the Virgin holding the baby Jesus. I had found Her at a thrift store, and decided to buy it because I thought She looked so much like my Goddess holding the infant Sun King to Her Breast. At first, I did not intend to place Her on my altar. After all, this was a Christian image... But one day however, I noticed that it was not where it usually was, and after looking around, I found it on my altar! Later I came to find out that my littlest daughter had placed it there all by herself, because she thought that's "where it went". And there it has remained. If The Goddess chooses to be moved onto my altar, through my child - who am I to deny the Wishes of The Goddess? "Hail, Holy Queen, Mother of Mercy; Hail our Life, our Sweetness and our Hope...."
For those skeptics that are reading this article with disdain and disbelief, I would like to offer this quote from a Master whom I have always admired. He was once asked by a disciple if the parables used in their Faith's teachings were indeed true. And the Master looked deeply into his eyes and said, "It matters not if the story is true or not. It only matters if the story is worth believing." CHECK OUT THESE BEAUTIFUL STATUES OF THE GODDESS & MARY! Blessed Virgin Mary ,Daughter of Holy Infinite God. A Goddess Anima Sola in Heaven asked by Infinite God, to create A Woman who will become the Mother of The Messiah , As a Godess ,She has a power to create A woman in the image of a Beautiful Flower of Heaven,named "Mystical Rose" as The Second Body of Goddess Anima Sola , and put inside the crystal Box and sealed , while waited for the time to send Her on Earth, The Crystal Box being guarded by The Seven Prince's or the 7 Archangel, to protect The Mystical Rose inside the Crystal Box. suddenly the time has come to send Her on Earth ,then Archangel Gabriel ,one of the Seven was send down on Earth to give the Mystical Rose to St, Anne, and He told her to smell and inhale the beautiful scent of the Mystical Rose ,then The Spirit of the mother of the creator La Nina went inside her womb and became flesh . more secret and true story coming soon next .... God bless. When Jesus was asked by Mary to perform a miracle during the weeding of Cana, Jesus replied "my time has not yet come" but he performed the miracle right? Then we can conclude that Mary was really a powerful intercessor, since she can change the plan of Jesus! I must take issue with your interpretation of "worship" in regard to Mary. Veneration and worship are not the same thing. To request that Mary join us in intercession is not the same thing as asking her to fulfill the request. Put another way, that which we look to as the source of our well-being is that which we worship. Strictly speaking, this is not the role of Mary; Mary IS the Queen Mother, but she does not supplant Christ the King. To equate Marian devotion to goddess worship cart-Blanche is, I think, imposing a conclusion on the issue without full examination of the historical, dogmatic and theological evidence to the contrary. Anecdotal observations do not doctrine make. Fascinating read. 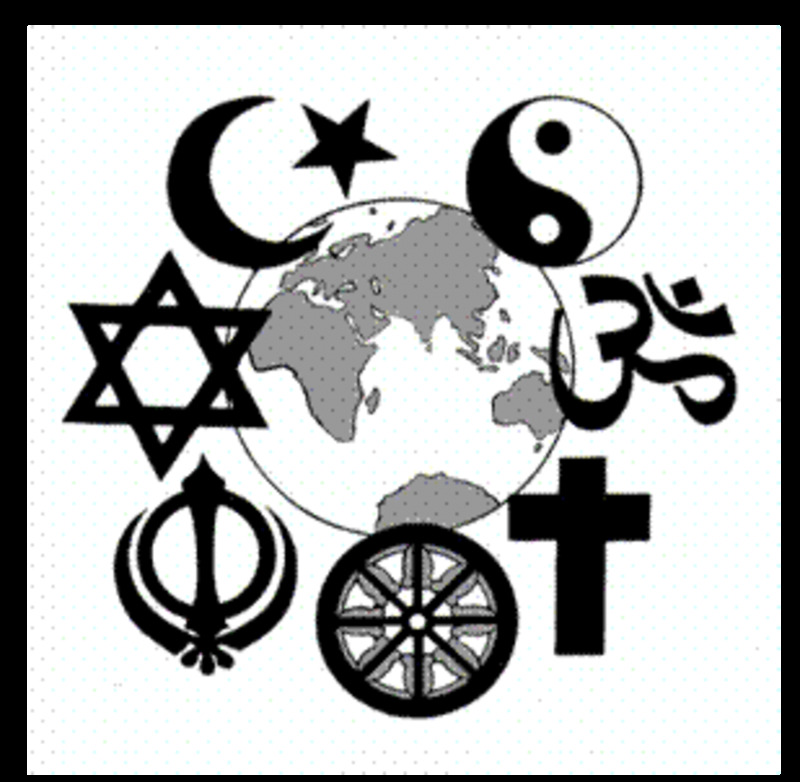 I do think religions of the world share much more than we normally realize. I guess one of the paintings is by Nicholas Roerich, my favorite painter. Interesting Hub Raven. I can't help it think that Mary was trying to tell you something when your daughter placed the statue of Mary and Jesus on your altar. No the question of the Immaculate Conception was not hotly debated by church authorities in Bernadette's day. Yes it was defined as a dogma in 1854 but recognized for decades, possibly even since the birth of Christianity. Coincidentally just today I wrote a Hub on the Medal of the Immaculate Conception which was first made in 1832. It is more popularly known as the Miraculous Medal. Actually Catholics do not call Mary a godess. In both prayers, the Hail Mary and the Hail Holy Queen we are asking Mary to pray for us, just like a mother would pray for her child. Specifically in the Hail Holy Queen we are asking Mary to pray for us so that we may be made worthy of the promises of Christ. It is a beautiful prayer. Do you mind if I post the whole prayer? 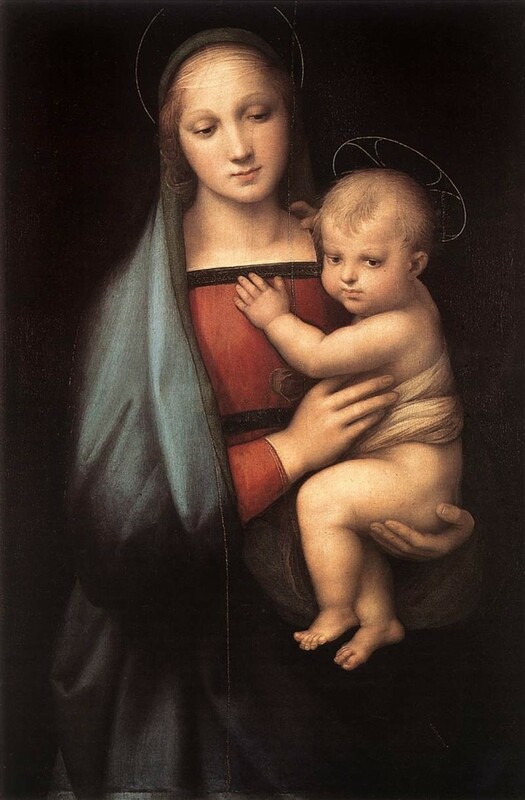 For Catholics, appearances of the Blessed Virgin "officially approved" by the church are just that.... literal appearances of the Blessed Virgin Mary to the faithful. Simply said, Church approved simply means that the Catholic may believe it if he so chooses. It is a private revelation, not a public revelation, a message from Heaven that the Catholic must believe. Those ended with the death of the last apostle. Excellent hub! There are images of the Goddess as Mary or as the Virgin all over this island usually portrayed with crescent moon. 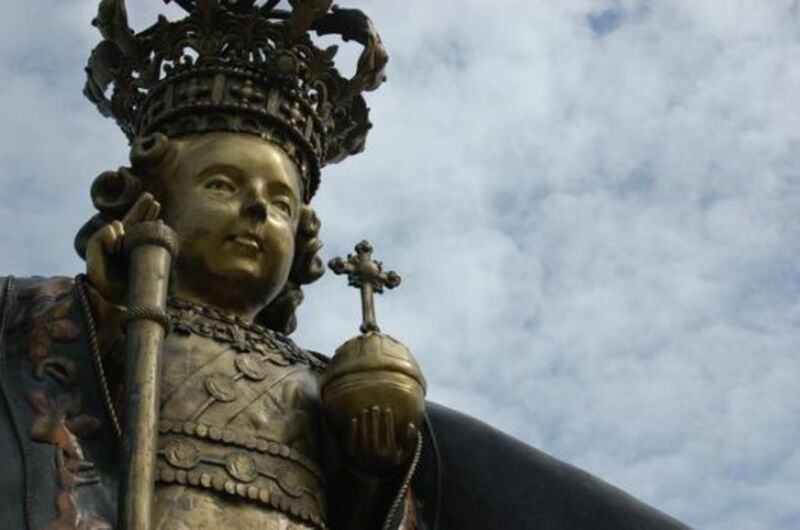 She is patron of the island of Tenerife and is here in the town of Candelaria as a Black Madonna. The building I live in is Edificio Lourdes! I was reading the comments above and was very surprised and disapointed to learn that you received so many "thumbs down" for this very informative, well-written, and thought-provoking hub. I give you a thumbs up! Thumbs up my dear. I had to come back to read it again. It is a great hub!! Thank you for writing such an informative and well researched HUB! I was baptised into the Catholic religion, but it was the statues of the Mother which drew my attention every time as I grew older. It was She who helped bridge the so called chasm between Old Religions and the new for me. Thank you for affirming my own beliefs in such a beautiful way. What an exceptional post. I have often argued the similarities between the Blessed Virgin and the Ancient Goddess with my mother. Having been raised a Catholic who later converted to Paganism, I have to say that I related very deeply to this hub. Aside from being beautifully written, it rang true on several levels with my personal experiences. 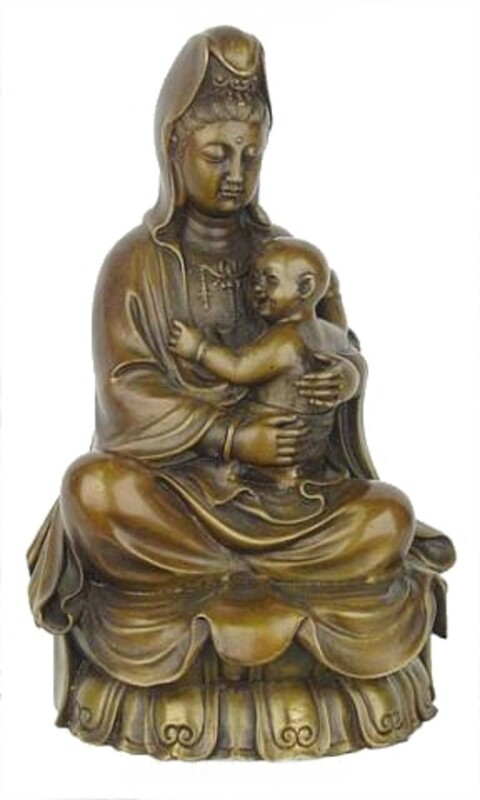 I too have a statue of the Virgin Mary holding her son displayed in my home. She was one of the biggest aspects of Catholicism that I could not leave behind. Again, a double big thumbs up for this wonderful post! Your feedback is always greatly respected. Thank you so much for stopping over from MySpace to visit me and thanks for the wonderful comment! Blessings of Love &amp; Light! Bless your heart! Thank you for such a sweet comment! I am so grateful and blessed to have such good friends as you! I do hope you will form your own HubPages and share your writings with the rest of us here as well. So glad you enjoyed it! Thank you so much for visiting and reading my hub, I really appreciate it! I thank you very much, so glad you liked it. 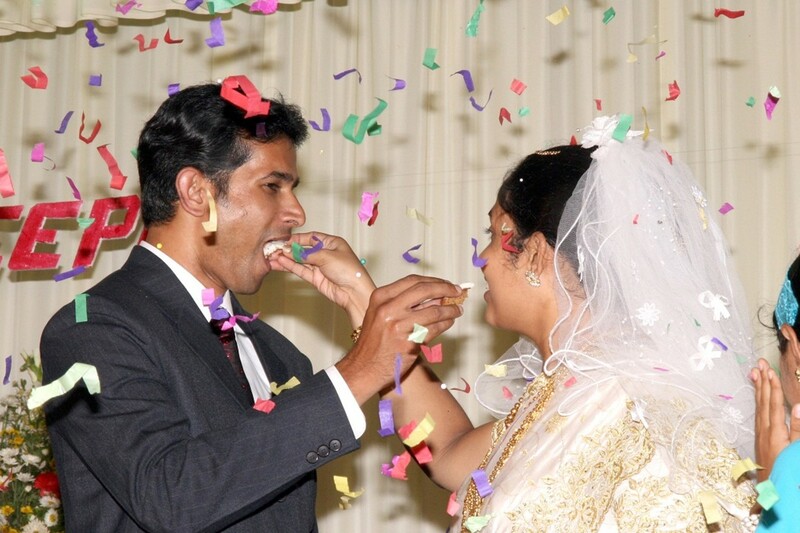 Thanks for coming over and visiting my HubPage - and I hope to see you here again soon! Wow! Thank you for the great feedback! Wonderfully done and well said!!! This is a new realm for me.... Very interesting and a beautiful hub. Very nice!! Enjoyed this much. wonderful work! As a Catholic too, I heard some of her different titles but some aren't. Thanks to your hub Raven. This is wonderful. I think that all people should know just how the church has tried to hide simple truths from the world and even condemn those of us who see the true paths. Show ing the similarites between the mother Mary and the Goddess mother was wonderfully perfect. Not only is the comparrison remarkable but the way this hub has been worded is very educational. Lets hope that all the christians begin to see the faults in the religious system and begins to study a little more in to the truth of the past, present and future. So may we all know the truth of where we come from. Well Done !! I have never heard of the things you were writing about in regards to a Godess and the Virgin Mary. The facts you supplied were at minimum intreaging. I am fascinated by this hub and all the information you provided. What a well written and great hub! What a wonderful hub! I think is was absolutely lovely and so well written, in the usual Raven style :) Don't worry about what other people say or think, don't invite their negativity in. Just remember that if they don't like it, it's their issue, not yours. So let your voice be heard, there tons of us out there that love ya to death and look forward to reading all of your wonderful blogs and hubs!! Thank you my dear friead. truly what a great peace of work. I love your work has always plaese keep it coming. many thanks. one queer coincidence is in a place of shakthi worship there appears mars idol too.in a place called melmaruvathur thronged by thousands of devotees every day . Well written and very informative as usual, my dear friend. 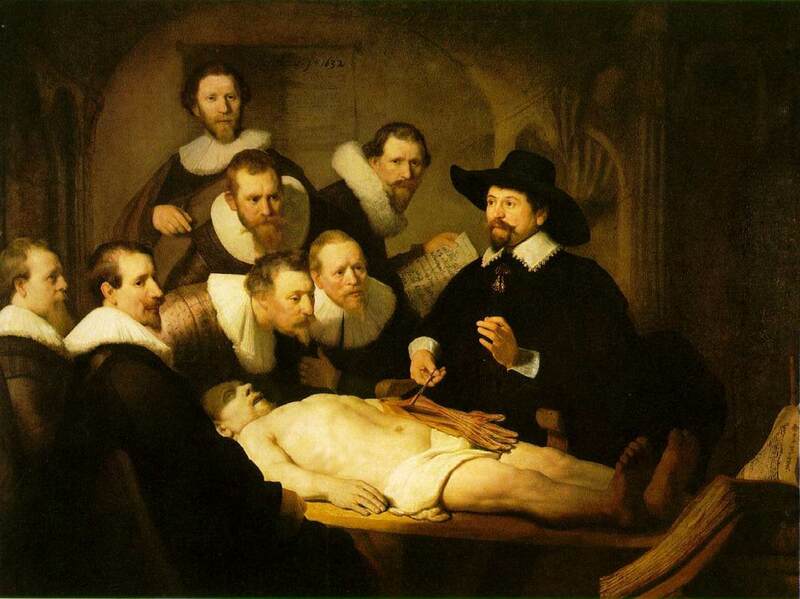 I believe that this is a very inspirational and educational piece and a real eye opener. I just think that people want to criticize what they don't understand. Keep up the great work, Raven. I look forward to your next posting. This is a wonderful hub! Thank you, thank you, thank you. I wrote a frustrated piece about the Pope while he was here and won't do it again---OMG. This is beautifully written. I do feel that the Church has bled the Goddess of much of Her original power and substance in the figure of the Virgin Mary. Raised Catholic, I used to have frequent Virgin Mary nightmares and wrote about them in my Pope hub. Later I discovered paganism and how the Church had co-opted so many Pagan practices, just absorbed them to covert the practitioners. But I felt like, yes this is better, this is WORTH believing! Thank you so much! they are so much alike. Excellent post. Well researched and informative. Thanks for sharing. I am so glad you liked it! But as you can see from the current hub rating of 25, there are a lot of Catholics that are *very* upset with me speaking out on this very touchy topic. But the truth needs to be spoken, even if your voice shakes - Right? I too incorporate Jesus and Mary into my Pagan beliefs! 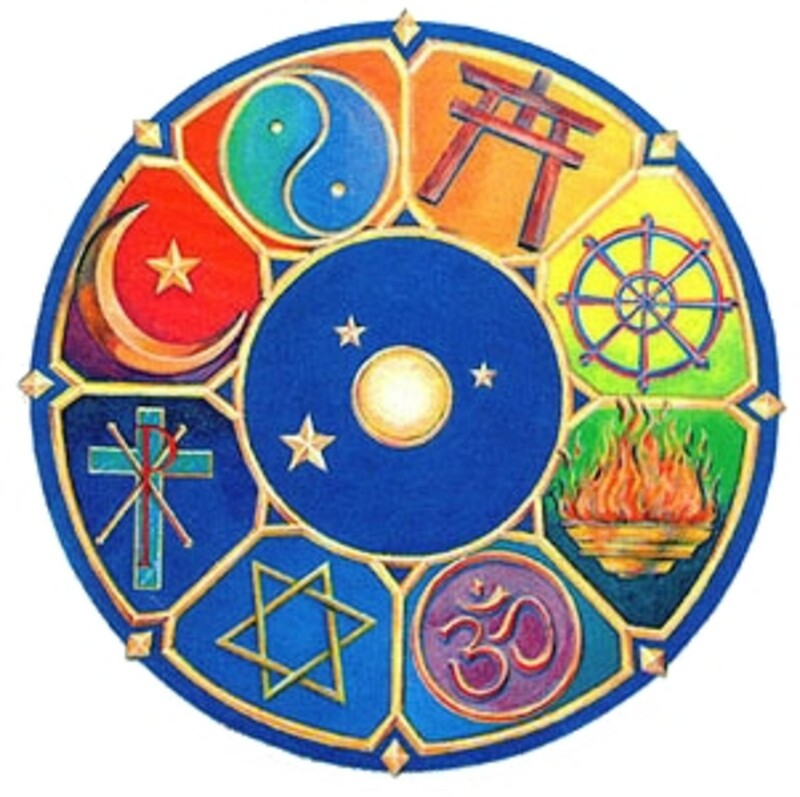 For I have always believed that all Gods are One God (and that includes The Goddesses!) Perhaps one day, Christianity will become aware of that Great Truth. Thank you so much for stopping by and visiting my hub! And yes - with the world being so inundated with Christian thought, it only makes sense that the Goddess would take the 'path of least resistance' to make Herself known to the people. Bless you and thank you again for the comment! Thank you so very much! I am so happy you enjoyed it. And I couldn't agree with you more about Mary wielding such power today. The people will *always* need their beloved Goddess - no matter what guise or garb She dons.... She Is Still The Goddess of 10,000 Names. This hub has had more hits than ANY hub I have ever done, yet all the Catholics are out to try and suppress it with excessive negative ratings - which of course, will have no effect other than to make me write more and more blogs on Catholicism, The Goddess and Ancient Religions! So thank you for the positive feedback (and hopefully a 'thumbs up') - it helps me to continue spreading the good word about The Goddess! An exceptional Hub Raven. I like the connection between Mary and the anceint Goddess throughout the world. In deed I do feel that the images of Mary is the Mother Goddess in all her glory showing use that she still remembers use and asks that question to use all. &quot;I remember you. Do you remember me&quot;? Not only that. I think this is the only way she is able to show herself to us, due to a monotheistic religion, but non the less, She truly is awsome and mysterious in her own way. A very nice hub, I liked the connection with Mary and other Mother Goddesses. 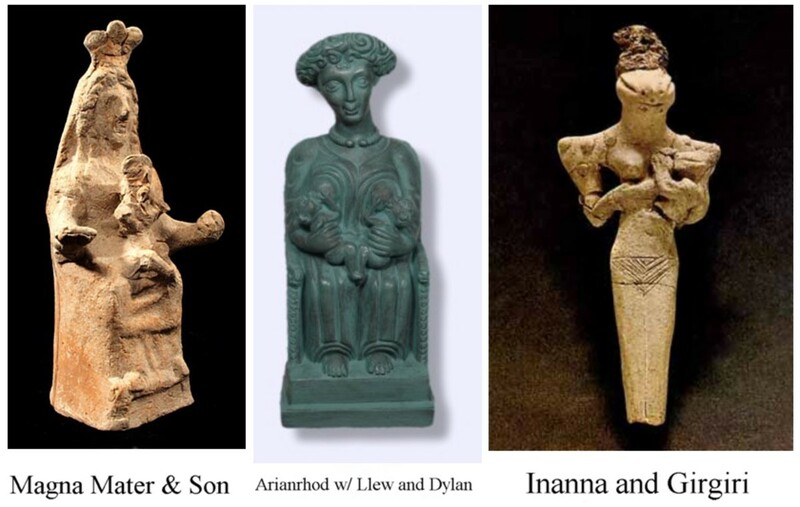 I love that you included things as ancient as Inanna from our oldest written texts. The fact that Mary wields such power today shows the continuity of the Mother Goddess. The Mother Goddess lives in any religion that was and ever will be. Before the Catholic Church women were revered as creators of life, not reviled as they are now for encouraging the serpent and so getting the 'original sin'. On the whole women are peaceful and forward thinking - perhaps this has something to do with women looking at things for their children, and children's children. The role of the women has been, for the past 2 centuries, one of suppression and submission as the church covered over pagan symbols with symbols of their own and twisted the blessed feminine into a bringer of evils. It is so good that women are now beginning to get back their own divine status, and hubs like this show how far back goddess worship began. A great hub, full of really interesting facts.